"Sequels to most movies are always fluff and not as good as the first," Allen said Tuesday night before the Heat played the New Orleans Pelicans. "But it’s something we’ve been talking about for the last couple months. If we get a really good story line and are able to bring everybody back, then it would be something worth doing." Allen — who still gets called "Jesus" by teammates — said he’s committed to making it happen. 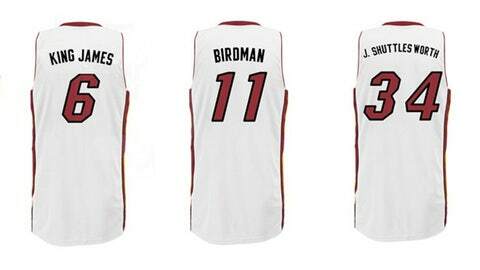 Take a look at what nicknames will appear on the back of Heat jerseys. Allen played a vital role in Miami’s march to a second straight championship last season, most notably making a 3-pointer that tied Game 6 of the NBA Finals with 5.2 seconds left in regulation and with the Heat on the cusp of losing the title series to San Antonio. The film seems to have enjoyed an uptick in popularity since, and wearing "J. Shuttlesworth" on his jersey for a number of upcoming Heat games figures to only add to that. "Not one day goes by where I walk in here and guys don’t say that they didn’t watch it last night or it wasn’t on," Allen said. "I don’t know who’s in charge of delegating what gets on TV, but it seems like that movie’s been on a lot the last two or three months." 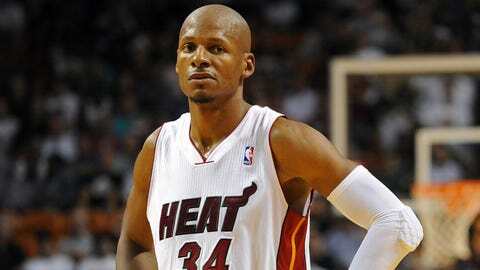 The first time Allen will wear his character’s name on his NBA jersey is Friday, when the Heat visit the Brooklyn Nets. All players in that game will be donning what are called "Name Collection" jerseys, with LeBron James sporting "King James," Paul Pierce wearing "Truth" and Shane Battier going by "Battle," his family’s original surname. "We’ve got to get Denzel and we’ve got to get Rosario," Allen said. "Obviously, it’s been 15 or 20 years, so there’s so many new story lines to talk about."